Welcome to the start of our fifth year of the Dereila Nature Inn Newsletter. 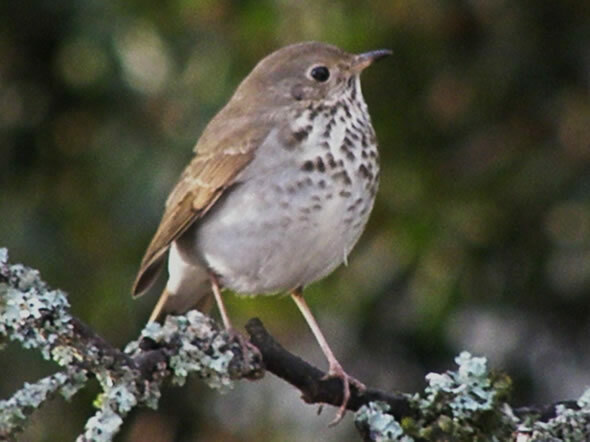 A pretty Hermit Thrush welcomes you to this spring edition of our newsletter. Hello once again, and welcome to the May's issue of Whispers, the newsletter of the Dereila Nature Inn - your virtual nature centre. This is an exciting time of the year as the bird migrations get into full swing, wildflowers are starting to bloom and trees are budding after a long winter's rest. We've had several new subscribers recently, so we'd like to say a special hello to you, and to our faithful subscribers we thank you for your support. We started this newsletter four years ago this month and find it hard to believe we're now entering our fifth year. We hope you enjoy this month's selctions of photos, trivia and news. Which plant family has over 100 genera but is placed into five groups for simplicity? Here's another close-up mystery puzzle. Can you figure out what this zoomed-in, cropped photograph is? It's a little easier than usual this month. The answer is at the end of the newsletter. We've added some spring fungi to our Fungi At-A-Glance section, as well as included several more desert blooms to the Desert Plants At-A-Glance page and we've started a new At-A-Glance series featuring grasses. We've also added four new fact pages to our Walking in the Wild: The Birds series. These are the Black Oystercatcher, the Black Turnstone, the Turkey Vulture and the Black-crowned Night Heron. We hope you'll also enjoy the two new "Close-ups in Nature" pages. Can you figure out what these images are? And finally, we were very pleased with the results of our Earth Day Celebration. We received lots of great images. Check out the photos by clicking here. We invite you to submit nature photographs to this section. This month we have another fantastic selection. from Jonathan Schnurr, Suwanee, Georgia. 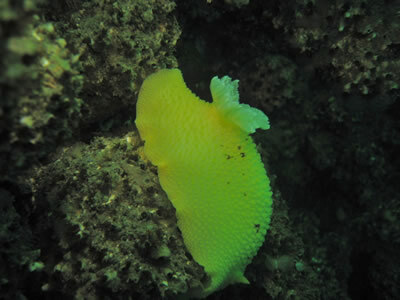 This Monterey Sea Lemon was taken by Rob Walker, Victoria, BC. 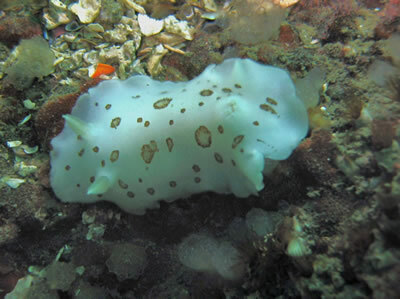 Rob is a frequent contributor and also send us this great shot of a Leopard Dorid. Many thanks to Jonathan, Rob and Marilyn for these amazing images. This month's page selection is from 'Tales from the Deck: The Steller's Jay and its Peanuts" You can see this tale by clicking here. We continue our walk through the forest for this month's wandering image. 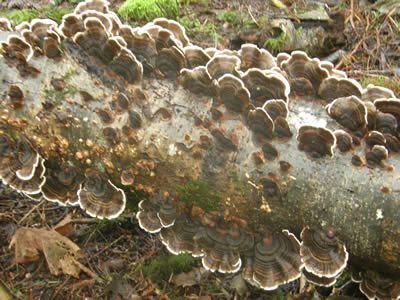 The Turkey Tail Fungus, Trametes versicolor, is a common sight on trees and can build up to huge numbers. Have you ever had the opportunity to see the underside? 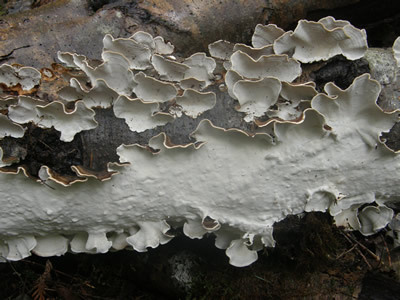 This other side of the log shows the brilliant white colour of the underside of the Turkey Tail Fungus. 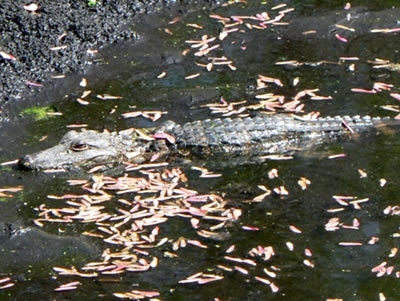 It also shows the rare sight of how they have fused together. 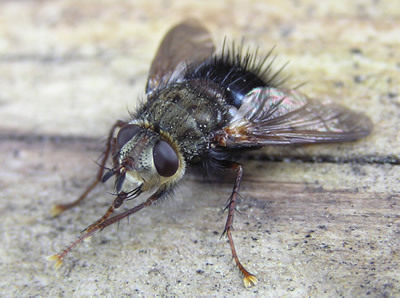 We invite you to send in a caption for this great looking fly, Epalpus signifer. Number one: "Who's a pretty boy then?" Number two: "Mirror, mirror, on the wall, who's the prettiest of them all? If you've got a great caption idea, please send us an e-mail. We'd like to hear from you and add your caption to our collection. The Desert Botanical Garden in Papago Park, Phoenix, is not only a botanical garden but is also classified as a museum. 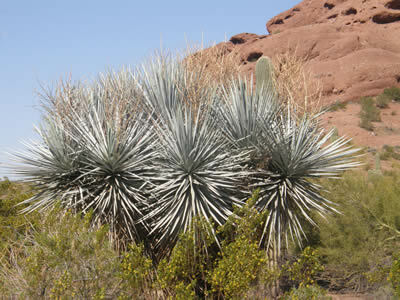 This image is a cluster of Desert Spoon plants. If you have a suitable photograph for this section of the newsletter we'd love to include it. Please send us an e-mail along with a brief explanation. We look forward to your ideas and submissions. Baneberry, Actaea rubra, is a tall, moisture-loving, leafy plant which produces clusters of red and sometimes whitish berries. 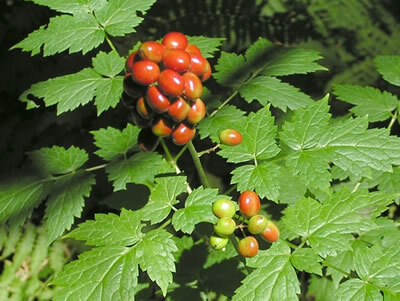 The genus name, Actaea, comes from a Greek word for an elder tree because of the similarity of the Baneberry's leaves and those of an elder tree. The species name, rubra, which is Latin for "red," a reference to the fruit. 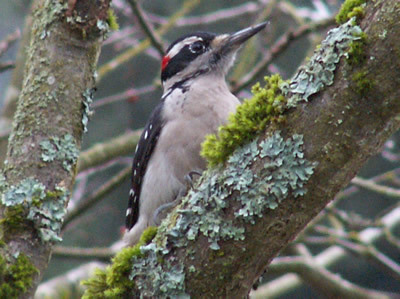 A Californian woodpecker was visiting his cousin, Hairy, a Minnesota woodpecker. He started to complain to Hairy. "You know, these trees in Minnesota are tiny. Why don't you come to California? We have bigger trees than anyone else." "Well, maybe I should," said Hairy. "I'll come up in the winter when it's too cold here." So in December he flew to California and they went see the trees. True to his word, the trees were huge. Hairy picked the largest tree and started chopping away. Then there was a sudden storm and lightning split the tree in two. Hairy shook his head and said, "They may be big out here but I can't split them back home like I can here." "Wait till I tell the guys back home how I can split trees." With the summer approaching and warmer weather, we would like to remind those of you who put out blocks of suet from the butcher to change if often before it goes rancid. 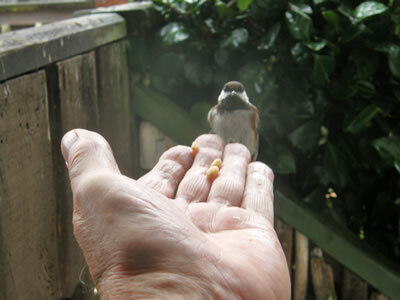 Our tip this month is about attracted birds to come onto your hand. 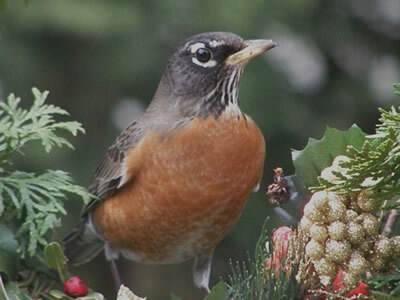 Many birds become quite friendly after feeding in a familiar area. 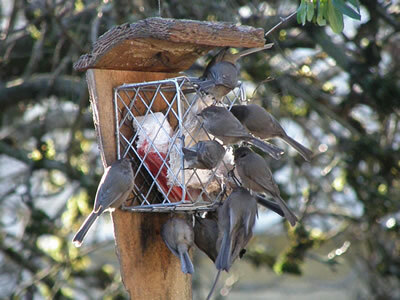 If you have suet feeders they can attract a good variety of birds. We've found that chickadees and nuthatches soon get used to your presence when you are putting out suet and other food. It is then quite easy to have them come to other places for a snack. If you have easy access from a window, the photo on the left shows a gate that leads down from the deck, you can place a few pieces of the suet mix on the gate near the window. 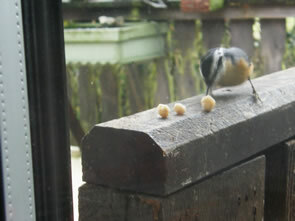 The photo on the right shows a nuthatch coming for one of the pieces. 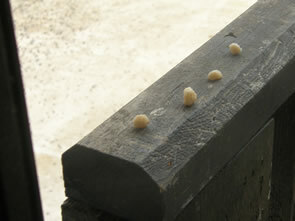 Now that you have them visiting this area, try opening the window and with a few pieces of the mix on your hand, see if they will come onto it for another morsel. This chickadee obliged us. As a new issue of Whispers is released, we upload the last month's. You can view them all with a simple click here. 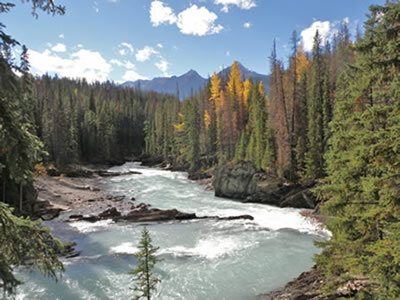 The Kicking Horse River is a beautiful wild river that starts high in the Canadian Rockies flowing southwest through British Columbia's Yoho National Park. It is a river of stunning and rugged scenery. 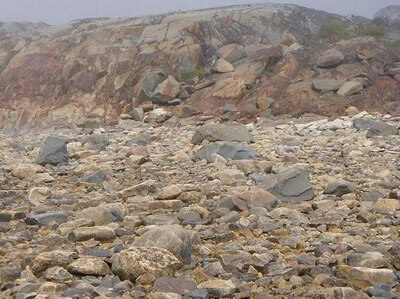 It gets its strange name from an incident in the mid-1800s when a pack horse belonging to a group of explorers fell in. The poor horse kicked James Hector, one of the leaders who attempted to rescue it. The Kicking Horse River flows into the Columbia River which in turn drains into the Pacific Ocean. 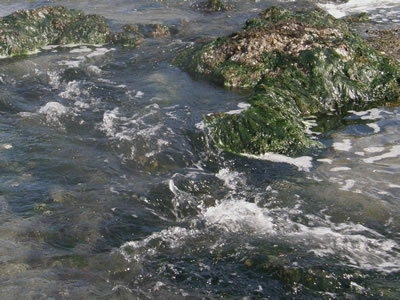 Did you know that sea water, loaded with mineral salts, weighs about a pound and a half more per cubic foot than fresh water at the same temperature? 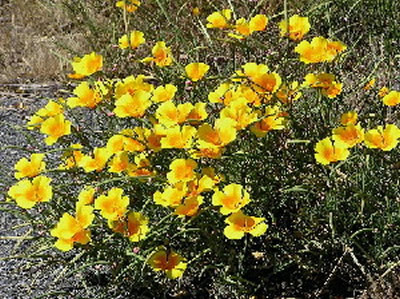 The colourful California Poppy, Eschscholzia californica, is aptly named as it's the state flower of California. It's found throughout that state and along the west coast into Canada. 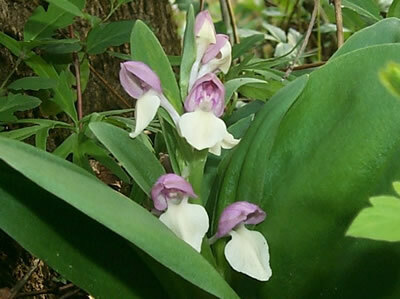 our state and provincial wildflowers page. The answer to our little trivia question is the Cactus family. 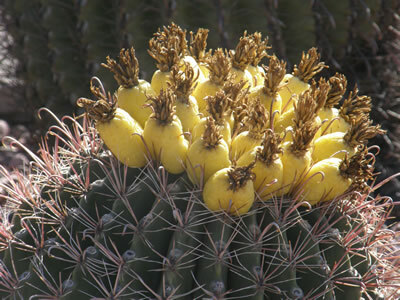 The five groups are: the prickly pears, the saguaro cactus group, the hedgehog cacti, the barrel cacti and the pin-cushion and fishhook cacti. 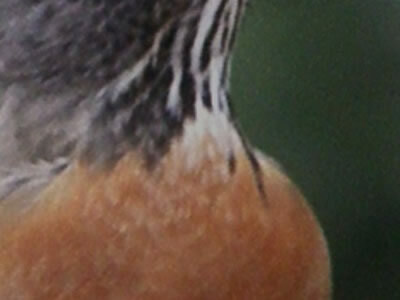 This month's mystery close-up image is an American Robin.